Eddy, A. (2010). 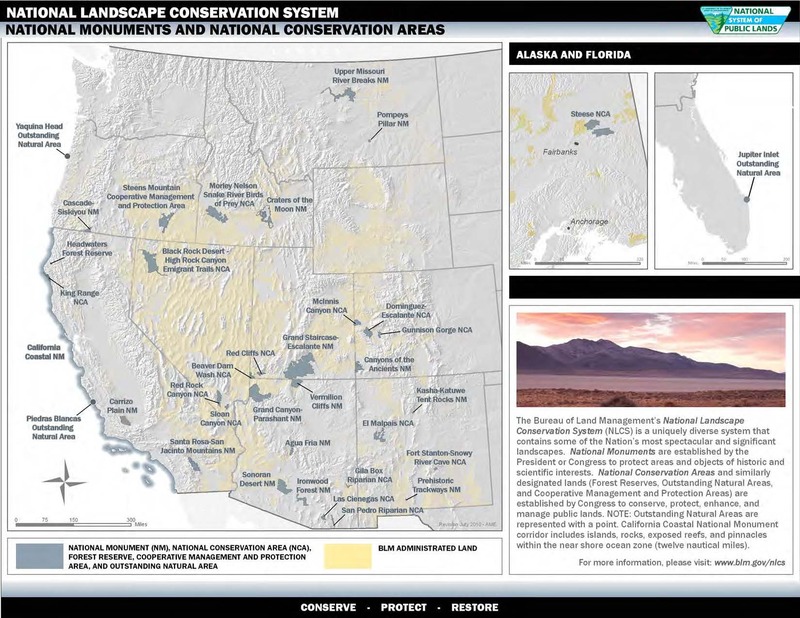 NLCS Map Series for National Monuments, National Conservation Areas, Wild and Scenic Rivers, Wilderness Areas, Wilderness Study Areas, and National Scenic and Historic Trails. U.S. Department of the Interior: Bureau of Land Management. Found: http://www.blm.gov/wo/st/en/prog/blm_special_areas/NLCS/maps/maps.html.